Our guest today is Emeline Jamoul, a translator from Belgium. It’s a universal truth that freelance translators are misunderstood creatures. Yes, translators have been around for thousands of years and we are probably doing one of the oldest jobs on earth, but that doesn’t mean that people are aware of our existence and purpose. If you’ve ever told someone what your job was, I’m sure you have faced a couple of answers worth their weight in gold. 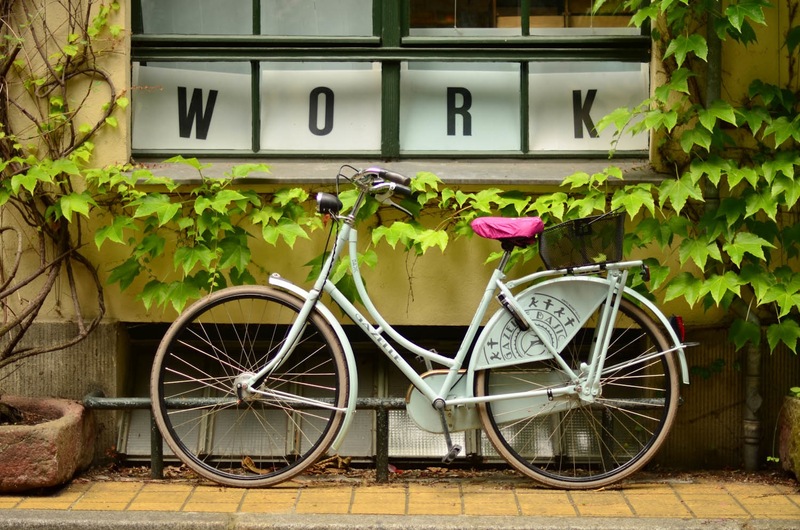 People always assume certain things about your career choices: either you are working as a freelancer because you are scared of the real world (hey, we have responsibilities too!) or because you happen to be bilingual. I have been a freelance translator for 1 year and a half now, and in 18 months, the number of ridiculous comments I have heard regarding my job has done nothing but increase. Here are some of them, which I’m sure most of you must have heard too! To the eyes of common people, translators can only translate one type of material: novels. When I went to my doctor’s office last year, she asked me what I was doing now that I had graduated. When I told her I had become a freelance translator, she looked at me in awe and asked which novels I had translated. I had to disappoint her though – most translators don’t have the luxury to translate literature on a day-to-day basis even if that’s the dream of many! We all cringe when we hear that someone is looking for a professional to “translate” one of their meetings. Blasphemy! But this of course, was the job of a very select few. Okay, I’ll admit that she wasn’t too far from the truth on this one. But what about translating marketing documents? What about interpreting in hospitals? And translating international contracts? There is more to translating than user manuals and interpreting European affairs! And the list goes on and on. But what can we do about these common misconceptions about our job? If you look at the comments I have listed here, all of them stem from the same problem: ignorance about our profession. It is also our responsibilities to raise awareness about what it is really like to work as a freelance translator. We should remind ourselves that many people are actually curious about what we do, and that it’s not so bad. Whenever I see question marks on my interlocutor’s faces, I make a point of elaborating, instead of saying “I just translate English texts into French.” I’m usually asked what and who I translate for, which clearly shows that most people don’t have any idea how and why translation is used. What better opportunity than to give a good (and accurate) first impression of our wonderful profession? What about you, dear readers, which type of comments regarding your job have you faced so far? Thank you for your kindly contribution to our blog, Emeline! 🙂 It’s a pleasure to host you here. People indeed don’t quite understand what we do. They don’t understand the translation part neither the freelance part. It’s quite difficult to try to make them believe we don’t actually work on our PJs (I tried last Saturday to family – who should already be used to it – but it didn’t work). 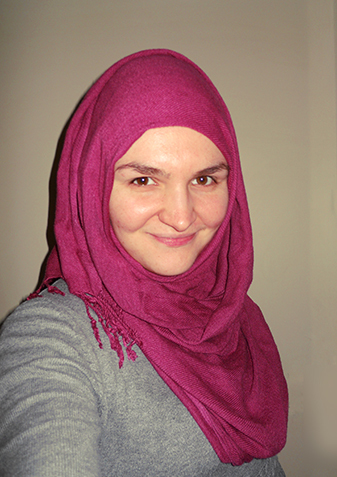 Emeline Jamoul is a passionate English and Spanish into French translator. She mainly specializes in marketing, business and health. A self-confessed multitasker, Emeline is addicted to social media and has a soft post for African-American literature. You can contact her through her website or on Twitter. Hi, dear readers! Hope your beginning of the year is as productive and full of great news as mine. So much so that I’m even struggling to find the time to blog! So sorry for not writing last week’s weekly post! 😦 Let’s keep our fingers crossed I can find the time to write this week’s. Today’s guest, Else Gellinek, will talk about blogging for other translators. For some years now, word on the street has been that blogging is a marketing and SEO must for solopreneurs. So I began blogging. At first I thought I had to blog for potential clients. Don’t get me wrong: If that’s the target audience for your blog, that’s wonderful. It just wasn’t really my conversation. I gravitated towards topics more of interest to other translators. Unfortunately, translators are often criticized for keeping to themselves on social media and blogging for each other instead of connecting with clients. I don’t see why you have to choose between the two. Neither am I convinced that blogging for our peers is a lesser option – unless you view blogging solely as a means of generating leads. 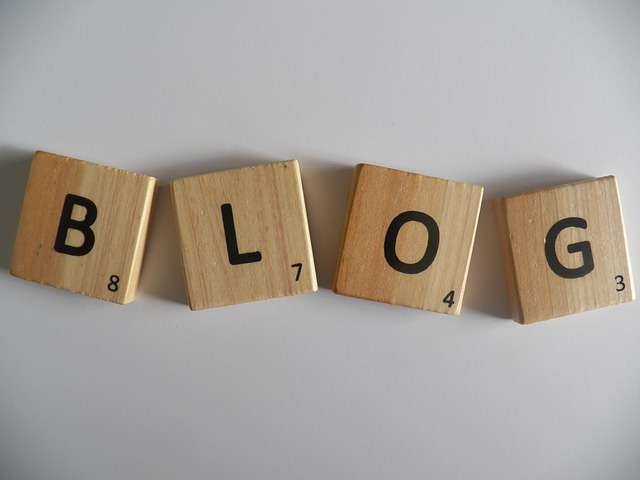 In her Pillar Box article Don’t blog, just write, Karen Tkaczyk explains why she thinks that we shouldn’t blog just because everyone else is. Indeed, if you don’t feel that you have anything to tell the world, then there really is no reason to blog. Nobody wants to read listless posts written from a dull sense of commitment. Instead, Karen says we should add to forum discussions or write for the bulletins published by translator associations, I think that’s a great idea. But: Other people’s houses, other people’s rules. On my blog, I am the creator and initiator of content. I decide what I want to write about, how I want to write it and what I regard as valuable information. Excellent translator blogs covering many angles of our diverse profession abound. They could never all fit into existing channels and I don’t think that they have to. On the contrary, they complement the established platforms. Translators are spread all over the world. Blogs are one way of keeping up a conversation that is not confined to translator associations or other membership-only clubs. We’re always complaining about translators driving down prices or acting unethically. Establishing a public, easily accessible dialog on translation issues can provide information and thinking points for those who need it most. A simple Google search will turn up a wealth of resources provided by dedicated peers. If this information were communicated in specialized forums, mailing lists or similar channels, it would effectively be hidden from the public eye. Many blogs also feature carefully curated blogrolls and resource lists that point translators to the more specialized channels. Freelancers can easily slip into isolation. Online conversation keeps us connected and in the loop. Sure, we can attend local networking events and conferences or use other forms of social media. But we can also read blogs, which are less ephemeral than Twitter conversations or mailing lists, thus transcending differences in work schedules and time zones. Tuning in at a later time won’t necessarily mean that you missed the chance to chime in. Blogging nourishes my introvert soul. It’s public but delivered in a fashion that feels private. For me, blogging has been the best way of tentatively testing the waters of public discussion. Some can show and share their expertise by offering training sessions or webinars, others will enrich forums and mailing lists with what they know and yet others will choose to blog. Blogging also allows me to take my time before commenting on issues. Discussions in forums or Facebook groups flit by and dart back and forth. Writing a blog post at my own pace affords me the luxury of thinking everything through before committing my thoughts to writing and publishing them. There has been many a time when my initial take on a subject changed due to other people’s thoughts or simply after a good night’s sleep. The slower pace of blogging can protect us from the trigger-happy judgments encouraged by faster forms of communication. Finding new topics to post about takes me from the sidelines of the translation community and offers me opportunities to add my voice. We all have a unique take on issues and that is reason enough to be worth listening to – whether an expert or not. Something caught your eye that no one else has noticed yet? By all means, share it with us. Translators blog about professional development, CAT tools, social media, marketing, cultural issues, associations, good and bad experiences and their personal situations. Their blogs are lighthearted, solemn, scholarly, sarcastic and sometimes angry. Some will share their thoughts through other channels, but these channels may be unknown to me. Were it not for their blogs, I would never have heard what many translators have to say. Lately, other translators have asked me whether blogging has paid off – and by that they mean financially. A number of direct clients have actually told me that my blog made a good impression when they were initially researching my services. Good stuff, right? I’ve also met a number of other translators through my blog who have referred clients to me. I’ll add a caveat: If your blog exists primarily to get you clients, then blogging for other translators is probably less effective than targeting paying customers. Of course, for translators who offer marketing services or professional development for other translators, blogging for translators IS blogging for clients. For the rest of us, blogging won’t replace other marketing efforts. If you feel you have something to say, then go ahead and blog. It’s a low-cost, low-threshold way of letting the world know you exist. Blog the way that feels right to you and find the readers that are right for you (what Simon Berrill concluded in his post on blogging). If blogging doesn’t feel right for you, then don’t blog or stop blogging (Keep reading blogs, though!). There are other ways to join in and you can pick and choose what suits your personality and expectations. And we all benefit from a wealth of channels offering us information and inviting us to be part ofthe conversation. Thank you, Else, for accepting my invitation and kindly taking the time to write to our blog. I totally agree with you on your opinion about blogging for translators. I’m one of those bloggers and just love doing it. Being able to help colleagues somehow is just rewarding and totally worth it. Else Gellinek ist a certified German to English translator specializing in marketing and corporate communication. She is based in a smallish German town and has been providing full-time freelance translation and editing services since 2013. She holds an M.A in theoretical linguistics and was a bookdealer in her previous life. When she isn’t translating, she blogs at Sprachrausch Blog and is active on social media. You can find her on Twitter (@Else_Gellinek ) and Google+. Welcome, my dear secret guest! When Caroline asked me to write something for her blog, I was happy but also a bit undecided. What could I write for her blog? I needed something that would resonate with her readers. Definitely not the kind of things I blog about… J It had to be good, serious, interesting and relevant to the blog of a talented young lady translating to Brazilian Portuguese. And then it struck me. It had to be about a writer that has always intrigued me: Fernando Pessoa. Considering that the 30th of November marks 79 years from his death and we are in November now, I told Caroline I would write about Pessoa. Fernando Pessoa, one of the world’s most significant literary figures, a writer, poet and critic, was born in South Africa on the 13th of June, 1888 and died on the 30th of November, 1935. But do you know he was also a translator? Okay, many writers translate. It’s in the nature of translation. Translators write. Translation is the par excellent conduit to writing. But, as I did some googling around to see any interesting facts about Pessoa, I stepped on an article about a slogan… yes, a slogan, he wrote for Coca-Cola! And at that moment I was sure this was the topic I would write for Caroline. So, let’s take a gander at some facts about him as a person and a writer that I think could resonate with most translators and, of course, writers. Pessoa was trilingual. He spoke Portuguese, English and French. According to Wikipedia he translated from English and French. He was raised in South Africa and moved to Lisbon, Portugal when he was 17. While attending the Durban Commercial School, he started writing short stories in English, some under the name of David Merrick, many of which he left unfinished. Pessoa used pen names from an early age. He later called them heteronyms instead of pseudonyms. Besides his own name, he made up round about 72 more! Pessoa was a loner and he was fearlessly communicating this through his writing. I have been considering Pessoa to be an extreme pessimist but it depends on how you want to look at it and on whether you are a pessimist or an optimist yourself. This is one of the things that strike you evident in his writings and his choice to create characters and heteronyms. A turn of events forced him to drop his studies and following his return to Lisbon at the age of 17, he complemented his British education with Portuguese culture, as an autodidact. In 1909, he set up his own publishing house, the «Empreza Ibis», with money he inherited from his grandmother. His business closed down one year later. Along with other artists and poets, he created the literary magazine Orpheu. He also founded the «Art Journal» Athena (1924–25). Pessoa worked as a freelance commercial translator but he was also a writer and a literary critic, contributing to journals and magazines. He never left Lisbon since the day he moved there. He wrote a poem “Lisbon Revisited” (1923 and 1926), by his heteronym Álvaro de Campos. 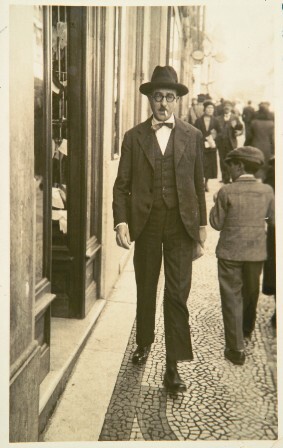 After his family left Pretoria to come to Portugal, Pessoa found himself moving from one rented place to another because of financial troubles and the troubles of the young Portuguese republic. Bernardo Soares, one of his heteronyms supposedly lived in a world that Pessoa knew quite well due to his long career as freelance correspondence translator. From 1907 until his death in 1935, Pessoa actually worked in twenty one firms located in Lisbon’s downtown, sometimes in two or three of them simultaneously. “The Book of Disquiet” (Livro do Desassossego: Composto por Bernardo Soares, ajudante de guarda-livros na cidade de Lisboa) is perhaps the most famous book by Pessoa and a best-seller. It was published 47 years after Pessoa’s death. Pessoa was 47 years old when he died. His book was signed under Pessoa’s semi-heteronym Bernardo Soares and it includes a preface by Fernando Pessoa. “The book of Disquiet” is a fragmentary lifetime project and according to Pessoa a “factless autobiography”. Pessoa never edited his book. The vast majority of Pessoa’s papers belong to the National Library. The remainder, some 2,700, to the heirs. His surname in Portuguese means both “person” and “people”. Pessoa wrote a slogan for Coca-Cola (true!) which had a bad fate. When Coca-Cola decided to launch in Portugal, they asked a company who had exclusive rights to import products from the USA. It so happened that future poet and writer Fernando Pessoa worked in that firm as a translator. The slogan he wrote was “Primeiro estranha-se, depois entranha-se” which would translate to “First it amazes you, then it gets into your veins”. Pessoa’s slogan was not welcome and had a similar fate to Coca-Cola who eventually didn’t launch in Portugal during that time. This “slogan” story was never revealed until 1992 when a heir of the Portuguese firm where Pessoa worked talked about it during an interview. Pessoa actually risked to be fired because of his slogan (according to this article – in Italian). His introversion, solitude, narcissism and inclination to avoid all action and the futility of this world should not be taken heavily. The “Book of Disquiet” is so personal that people who find themselves feel even remotely like Soares might sulk into a psychological state that reverberates that way of thinking. For this reason, I highly recommend to read this article here. It’s about a writer who gives a very beautiful account on his life through his experience as a reader of this book. Whatever one might say about this book, I prefer to see beyond it and towards the man who wrote it. A translator, poet and writer, someone who was raised in South Africa but who spent most of his life in Lisbon, an introvert (I’d keep that), a mysterious personality (is Soares really Pessoa?) and Portugal’s most famous modernist poet. Pessoa’s writings are a reflection of the human soul in its most bare nature. Pessoa is true. He is not lying. Even if he spoke through the voice of the 75 or so characters he invented. To conclude this rather long post, here are some of his quotes that I find powerful. I’ve always rejected being understood. To be understood is to prostitute oneself. I prefer to be taken seriously for what I’m not, remaining humanly unknown, with naturalness and all due respect. At this point, and after reading the last quote which brings to mind that translators are always trying to “understand” things and often stay up all night translating nonstop, I wonder to what extent did Pessoa’s career as a translator influenced his writing… I fear it kind of did but it’s time to call it a night. See? P.S. : To write this post I used Wikipedia, this article here from the New York Times and this one here from Il Post in Italian. Thank you, Magda, for kindly accepting my invitation and for taking the time to research and write such an interesting post! Did you know Fernando Pessoa was also a translator? Would you like to add anything to Magda’s words? Magda Phili lives in Italy and works as a freelance translator. She loves writing, creating slogans, coffee, the mountains and the Greek islands. She can be found at her blog and on Twitter.